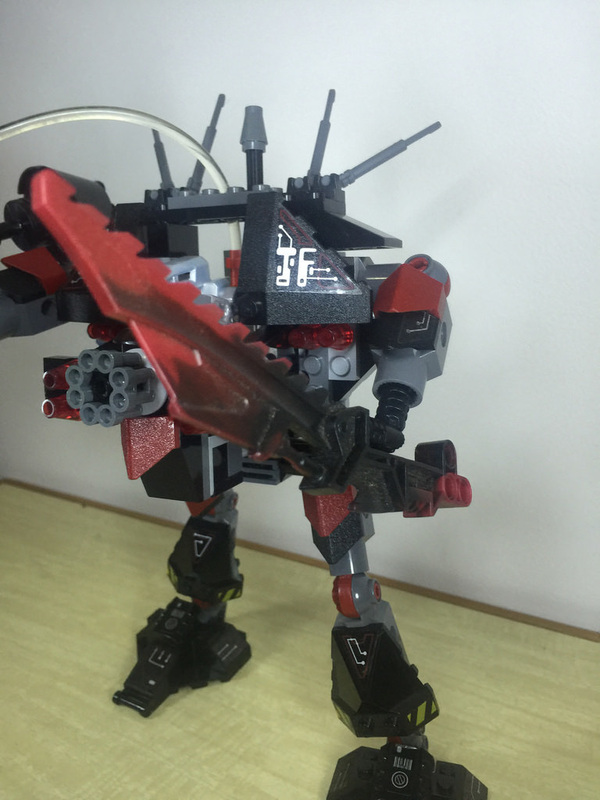 Let’s take a look at the first mech from the Exo-Force range. It’s the evil Thunder Fury, and it’s pretty imposing! 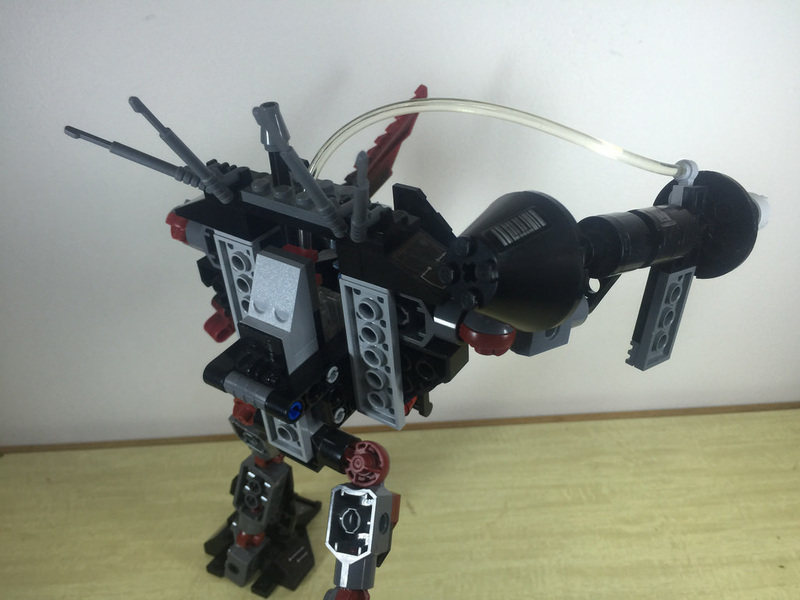 The set has a lot in common with the giant Knights’ Kingdom II knights, as it uses the same sort of connectors. Anyway, enough rambling, on with the review! The parts included in this set are unlike anything I’ve seen in a set before. There’s the multicoloured sword, only ever seen in this set, and then there’s the flagpole with grip at the end. It’s nothing new as a mould, but it is rare in black. Funnily enough, Brickset lists this part with the name of “Fejloprettet” which translates from Danish to “error created”. I guess this was a database error? Who knew you could learn Danish from a LEGO database! A key part of this set is the light brick and hose that I mentioned last week. It’s not as bright as it’s an old battery, but it still does what it’s supposed to do! Press the cockpit down and it should light up. There’s a smattering of dark red elements, with five of the roof corner parts, the joints and a few other plates, but this set is mostly black. 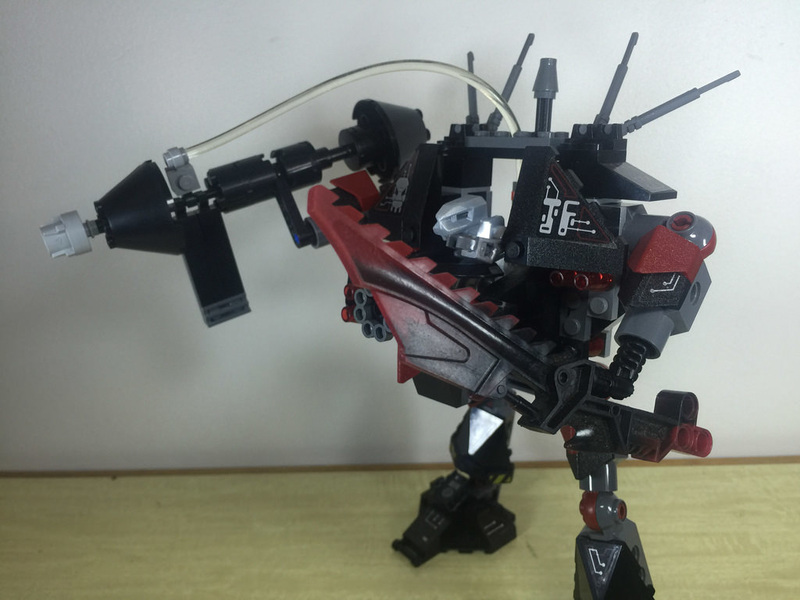 An interesting inclusion was four spearguns, as greebling for the top of the mech. Unfortunately I couldn’t find the correct Devastator that goes with this set, but they are also pretty unique to look at! While the mech is inherently poseable, there’s a fair amount of top-heaviness to it, especially with that big gun on the site. You can position the mech in a fair few different ways, but be prepared to have to position the gun to balance it. It’s not so much swooshable as poseable and playable. It’s a pretty unique build experience, for me at least, as I’ve never done anything like this before. The cockpit area is built first, with the armour plating at the front coming next, followed by the legs (a pretty repetitive build section, as they’re both identical), then the gun arm, and the sword arm to finish off. The light hose is connected, and you’re done! I like the idea of the Technic axle at the top. Press it down, and the light brick pops out! Not sure why that’s needed aside from having to change the battery, but it’s still cool. Another cool thing about the Exo-Force theme is something I mentioned last week – the fact that if you combine it with another Exo-Force set, you get a new model! Alternative models aren’t anything new – the Fire Fury is a pretty cool looking alternate for 7702, but combine it with 7703: Fire Vulture, and you get the Raging Storm. It’s pretty awesome. This thing looks really cool. 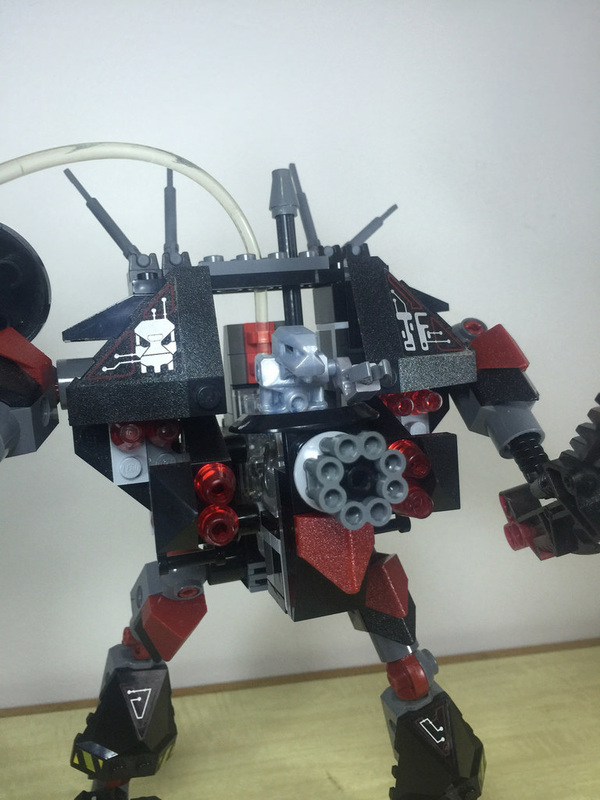 It’s got a big honkin’ gun, and a big honkin’ sword, and with the huge gatling gun on it’s chest, makes for a pretty imposing mech. This will grab some attention on your display shelves for sure. This set on the second hand markets is very reasonable. For less than $50, you can have a brand new set in your hands, with $20 getting you a used set. There’s plenty of options out there, so get stuck into it! Value for money is high. 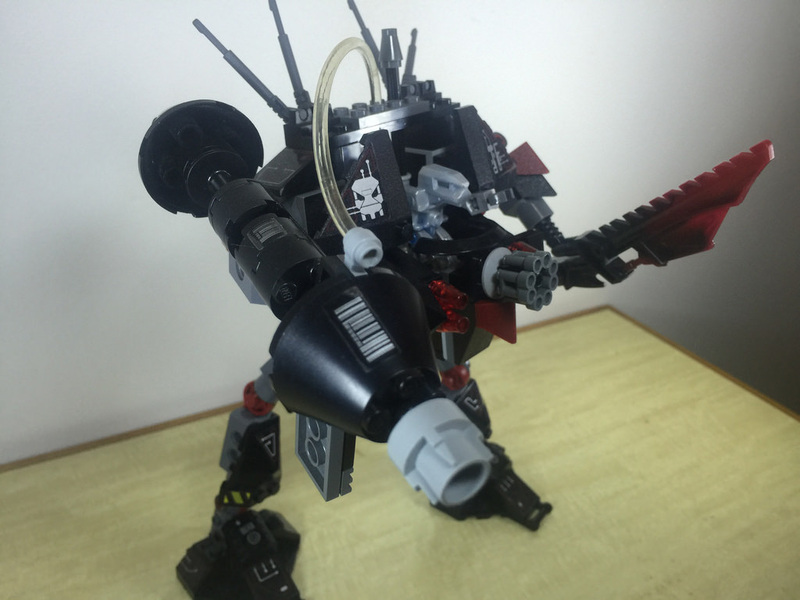 Collectibility is really good if you’re into mechs, or the more obscure themes from LEGO. It’s pretty high for me, so that’s what I’m going with. That’s all for this week! Next week I’ll be looking at the other side of the Exo-Force battle, with one of the heroes! 7700: Stealth Hunter is on the table, ready to be reviewed! Until then, happy building! 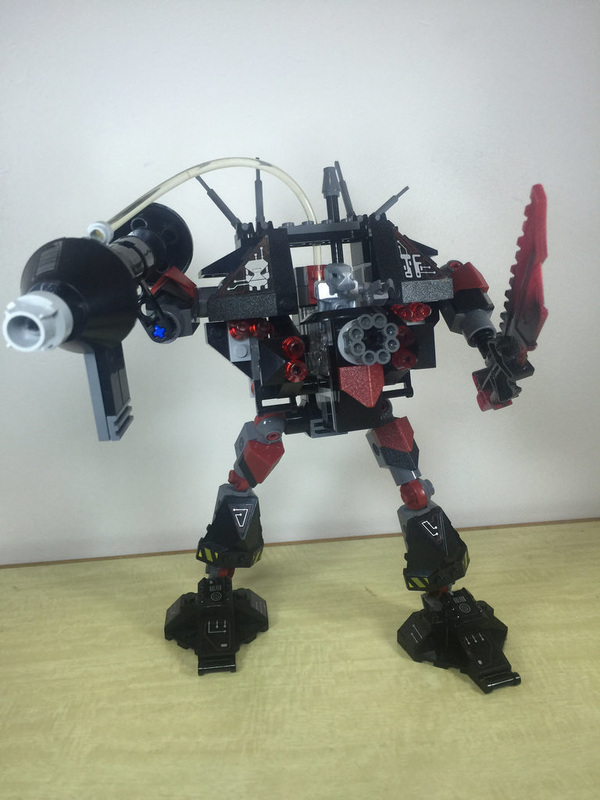 Welcome to BricktasticBlog! Here’s where you’ll find the latest LEGO news, set reviews, Australian LEGO events, community builds, a link to the LEGO Shop and more.